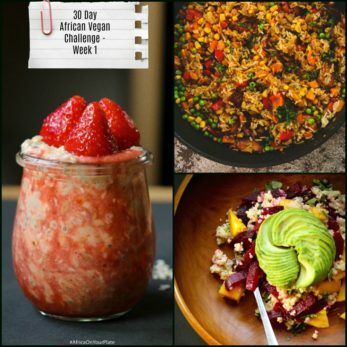 A simple vegan recipe that delivers amazingly delicious South African Chakalaka everytime! 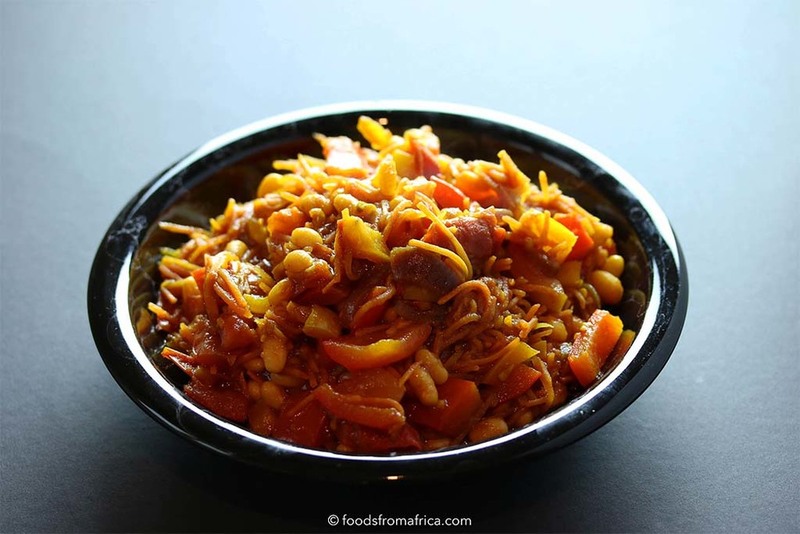 I first tasted Chakalaka in 2013 during a trip to South Africa. I was on a day trip to Soweto and had already had a morning full of activities. By lunch time, I was accompanied by my trip guide to a local restaurant. 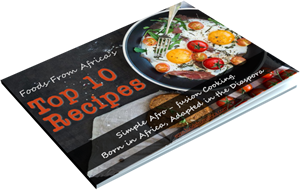 One that came highly recommended, and full of promise of an authentic South African culinary experience. Authentic culinary experiences rank high on my priorities list. “when in Rome, behave like the Romans” – is a favourite mantra, and one that I take quite seriously. Because there are only a few things in life more pleasurable than soaking in a foreign culture through food. With Chakala, it was love at first taste! To some, chakalaka is a salad. To others, it is a spicy veggie relish. To me, it is reminiscent of a curried ratatouille with beans. Spicy, tangy, and full of flavours that literally jump off the plate. 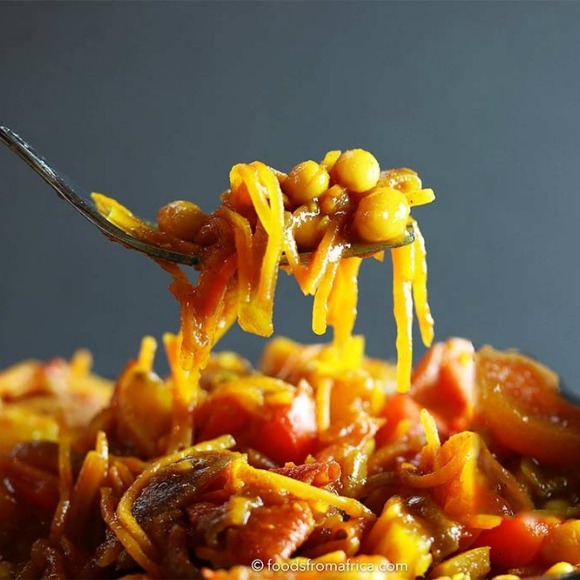 Chakalaka was born in the townships of South Africa and the original recipe is something close to a dish of onions, tomatoes, baked beans and some curry powder. These are all ingredients that require little to no refrigeration. Refrigeration in the South African townships would have been an important consideration during the era of apartheid in South Africa, given the inadequate infrastructure like electricity in townships such as Soweto at the time. 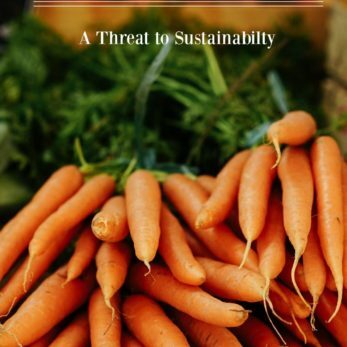 The curry powder in the recipe has Indian roots – the legacy left by work migrants from the Indian sub-continent to South Africa during the late 19th century. 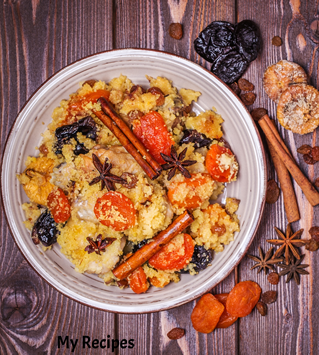 South Africans are known for their love of barbecue and come the summer season, every respectable barbecue or braai features Chakalaka as a side dish. Today, most South Africans have their own versions of this staple dish with some more elaborate than others. Most recipes include beans as an ingredient. I have used Heinz Baked Beans in Tomato Sauce for this recipe as I like the sweetness imparted to the recipe from the baked beans, but feel free to substitute the baked beans for boiled black-eyed beans which works just as well. Serve as a side dish to grilled or barbecued meats. For other side dish ideas, try the black-eyed peas and sweet corn salad, or a mango and avocado salsa to complement grilled meats and chakalaka. 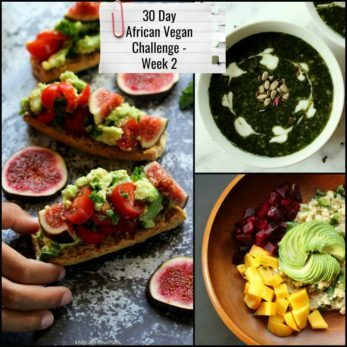 I took part in a 30-day African Vegan challenge and chakalaka made the frequently-made African vegan recipes list!! 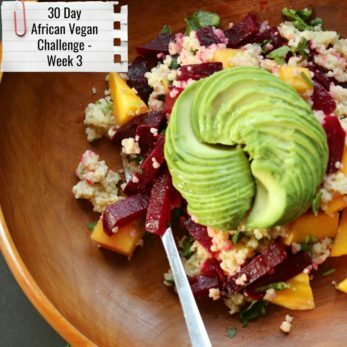 A simple vegan recipe that delivers amazingly delicious South African Chakalaka everytime! Spicy,tangy and full of flavours that jump off the plate. On a medium heat setting, heat the oil in a large saucepan. Add the onions, bell peppers, and scotch bonnet pepper and fry for 2 minutes, then add the spices - cayenne pepper, paprika and curry powder. 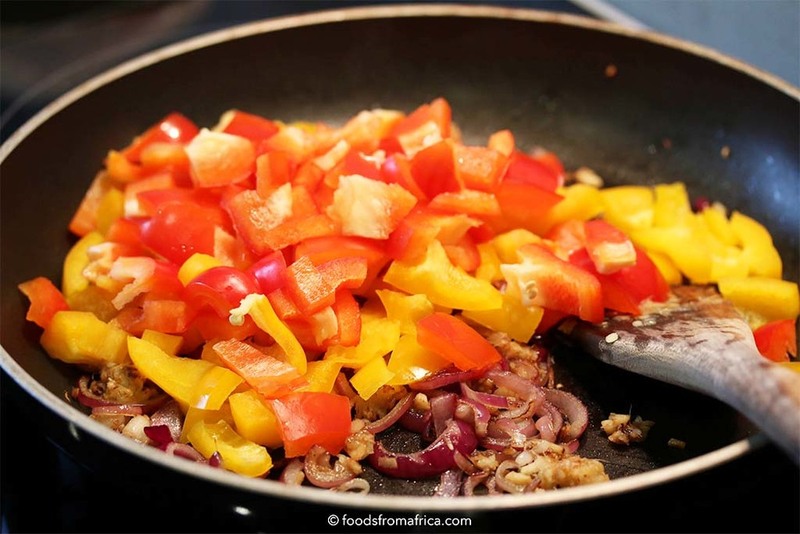 Stir fry for about 1 - 2 minutes to allow the flavours to develop. Then add the shredded carrots and sauté for about 4 - 5 minutes, stirring occasionally. Stir in the tomatoes, add the stock cube, and season to taste. Simmer open for 15 - 20 minutes on medium heat while stirring occasionally. This will allow the sauce to reduce (Chakalaka should not be runny or watery) and the occasional stirring prevents burning or sticking to the pan. thanks Anna for stopping by!